Tom Schroeter President, CEO & Director, Fjordland Exploration Inc. 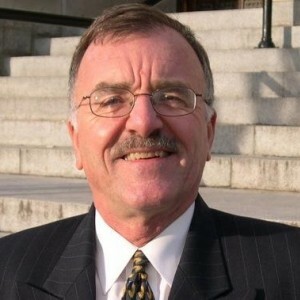 Prior to joining Fjordland in 2007, Mr. Schroeter was Senior Regional Geologist and Manager of the Vancouver Mineral Development Office with the British Columbia Ministry of Energy, Mines and Petroleum Resources where he acted as an untiring ‘ambassador’ for the mineral industry in the Province. Prior to joining the BC Government in 1973 as District Geologist based in Smithers, Tom worked for several mining companies across Canada. Tom obtained his B.Sc. (Hons) and M.Sc. degrees in geology from Carleton University (Ottawa) and The University of Western Ontario (London) in 1969 and 1971, respectively. Tom has always been a firm believer in giving back to your profession, in his case by being an active member in several Associations, Committees, etc. Examples include: i) Co-founder of the Smithers Exploration Group (1973); ii) Chair of the Mineral Deposits Division, GAC (1988-1989); iii) Chair of the Vancouver Mining Exploration Group (M.E.G.) (1988-1989) and continuing Director; iv) Continuous member of the PDAC (since 1966); v) Canadian Correspondent for the SEG Newsletter (2002-2008); vi) Past Co-chair of the BCYCM/AMEBC Mineral Exploration Roundup Meeting (1998) and Chair of the Awards Committee (1999-2007); vii) Member of the APEGBC (since 1974); and, viii) AMEBC Board of Directors member (2009-2011). Tom received the Julian Boldy Memorial Award for service to the Geological Society from the CIM (2000), the Christopher J. Westerman Memorial Award for exhibiting high levels of dedication and integrity in the geosciences profession from the APEGBC (2000), the Past Presidents Distinguished Service Award from the BCYCM (2001) and the Special Achievement Award for contributions to the mineral exploration industry across Canada from the PDAC (2007).